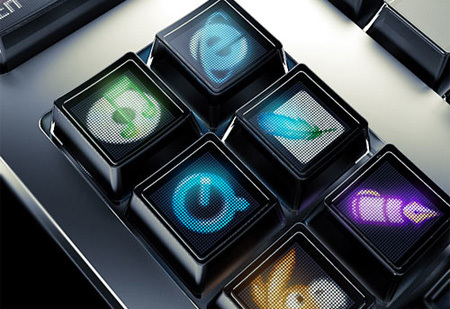 Creative and unusual computer keyboard designs from all over the world. 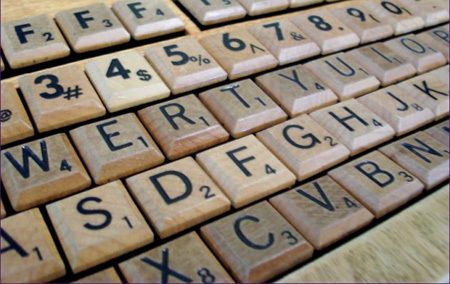 Most of the keys are made from real Scrabble tiles that were all hand-beveled and built onto USB mechanical-switch keyboard. Cool keyboard where each key is a stand-alone display that shows the function currently assigned to it. Perfect for office refurbishment. 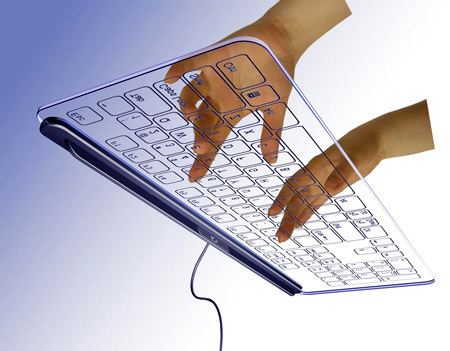 Made from high quality silicone material, flexible keyboard is extremely portable so that users can bring it everywhere. 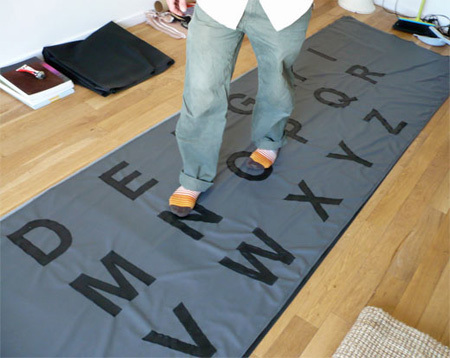 The illuminated design makes it useful in low-light environments. 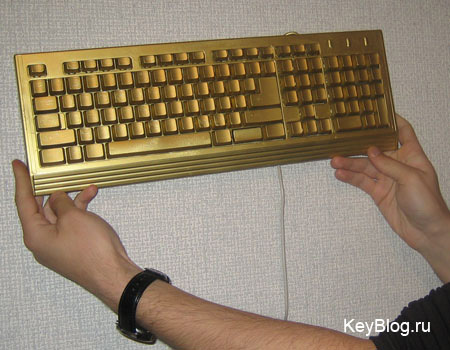 Genius Gold Keyboard created by KYE Systems Corp from real gold. 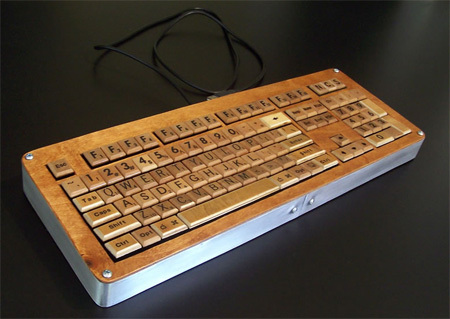 Unique keyboard by Japanese electronics company Marubeni Infotec. 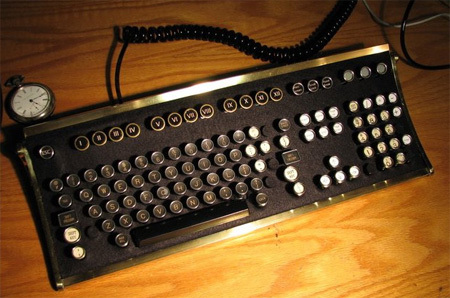 Beautiful retro keyboard created by Jake von Slatt is fully functional. All very interesting.. 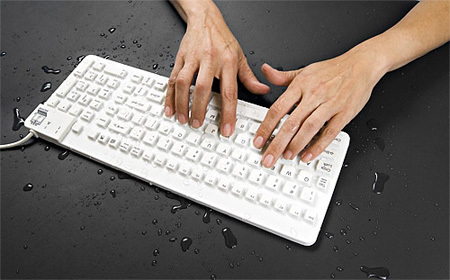 The waterproof one would come in quite handy.. http://gizmodo.com/5224528/i-ate-the-worlds-largest-cheeto-while-using-the-worlds-most-expensive-keyboard What a way to use the Optimus Maximus! 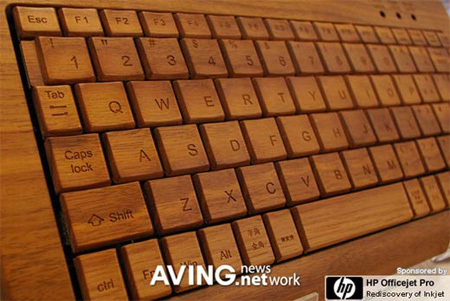 wwawawwww….. Optimus Maximus Keyboard is waww..
1st one – JUST LIKE CSI MIAMI!!!!!!!!! I think the gold one is fake. If you take into account what a gold keyboard would cost, I’m pretty sure they would have spent more money on taking proper photos. Also, it looks to light weight to be real gold. As far as portable keyboards go, I prefer Atek’s OnBoard Travel Keyboard compared to the rubber floppy kind. The Atek keyboard is one solid piece (not even folding type) and has desktop keyboard type membrane keys, so it feels a lot like a desktop keyboard. It’s got a protective cover (that you flip upside down for tilting the keyboard) and a cool inflatable palm rest. Virtual laser keyboard! I want one! wow u can buy the flexi keybroad n its very cheap!!!! The Giant Keyboard is for good for exercise. WHERE IS THE ROLL-OUT KEYBOARD???!!! !